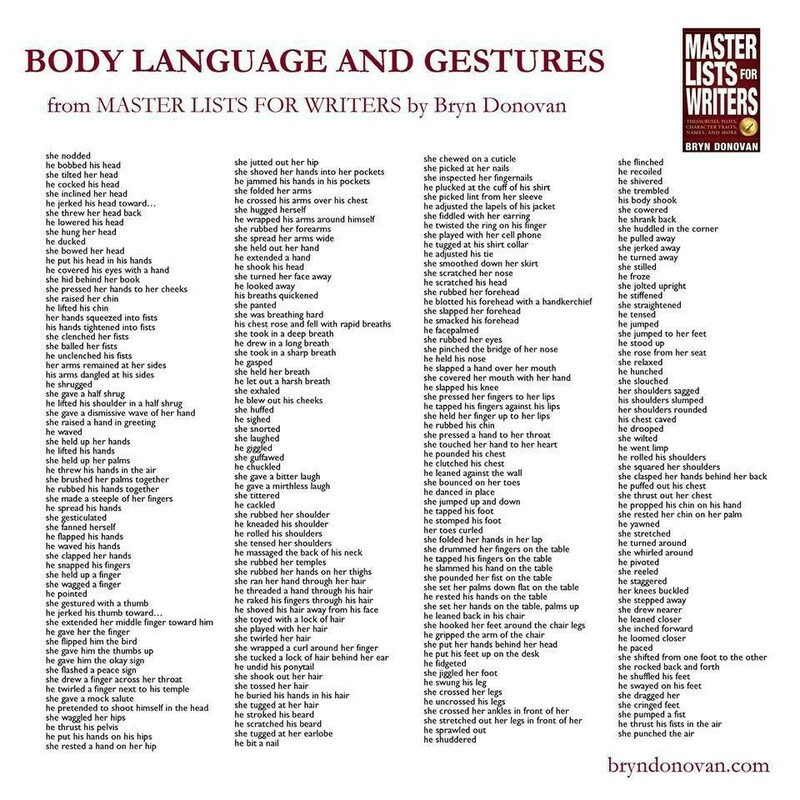 Do you often write (or speak) about body language? Then these phrases might be helpful. Now try to write something about your life or work using one or more of these phrases. In fact, I yawned before writing this. Could I say: "I write this while I'm yawning"? A good idea to start a new game @Frank! She took in a deep breath before she opens the door, because she was excited when her boyfriend arrived the first time at her house. one day there was a girl.she was walking along her home's backyard, and suddenly she found a small creature, she pressed her hands to her cheeks because this creature was pretty cute. I usually tilt my head in the process of nodding at some big list of words or while watching movies. During the job interview he held constantly his nose. During the job interview he constantly held his nose. These are really useful phrases, and I think that even native English speakers could do with reading these, and we tend to say and write the same things over and over again when we could actually vary what we write. When my mother saw me cry she always spread her arms wide. That is so that you could go to her for a hug, which is one of the most comforting things that you can do when you are upset. Hugs are just the best. I saw a friend of mine who has just returned from white water rafting the length of the Karnali River (at this time of year!). It was very nice when he gave me a bear hug, as we haven't seen each other for ages. She threw her head back of laughing after the man told a fantastic joke. She shook with suppressed mirth. He jammed his hands in his pockets because he was angry but he couldn't show it. She shrugged her shoulders in frustration. Most orators move their hands gently when they give a speech. She shrugged her shoulders in disdain. While she was waiting for the doctor, she picked at her nails. When she saw the accident she touched her hand to her heart. When he read his task he drew in a long breath. After a dog scared me, I was breathing hard for an hour. Her shoulders sagged when she heard she had not won the first price. She bit her lip when she discovered that she had not been selected. He waved his hands when he saw his wife between the crowd. She ducked to escape when she knew her dad was coming for her. She trembled after she heard a ghastly noise in the dark. I know when he lies, because he scratchs his beard when he lies. Most people purse their lips and look away when they are telling lies. After he already for,hours studied the mathematics he buried his hands in his hair.